Two weeks ago at a press conference with Secretary of State John Kerry, Saudi Foreign Affairs Minister, Adel Jubeir, spoke dispassionately about his country’s actions in the conflict in Yemen. “Yes, we do our best to minimize civilian casualties,” Jubeir claimed. “We do our best to investigate when we have reports of these, and we have investigated them. And we review our measures and procedures to ensure that we minimize them.” Despite Jubeir’s reassurances, Saudi Arabia has fought tooth and nail against independent efforts to investigate the role of all combatants, including the Saudi coalition, in the devastation. By now the word is out that coalition airstrikes are responsible for the majority of the roughly 4,000 civilian deaths in Yemen. Schools, marketplaces, weddings, and factories have and remain viable coalition airstrike targets. When the United States includes a bridge on a no-strike list of essential infrastructure for “responding to the humanitarian crisis”, it is nevertheless obliterated. When Doctors Without Borders provides the coordinates of their hospitals, they are still struck again and again. As despicable as these incidents are, Saudi Arabia’s efforts to prevent the world from learning how and why these atrocities occurred make the situation far worse. 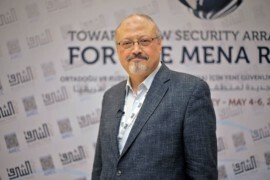 Saudi Arabia’s cover-up began shortly after the start of its intervention in Yemen, when it denied aid workers and journalists access to the country on UN flights. The diplomacy of obstruction and denial soon reared its ugly head at a session of the UN Human Rights Council (HRC) last year, when the Netherlands proposed a resolution directing the UN High Commissioner for Human Rights to send experts to Yemen to investigate the conduct of participating parties. The Dutch diplomats then crumbled under pressure from the Saudis who, according to UN sources, literally sat them down at a coffee table and crossed out sections of the resolution that UN human rights chief, Zeid Ra’ad Al Hussein, sought. At the end of the session, the HRC passed a resolution endorsing a probe by the Saudi-allied Hadi government, widely seen as biased and ill-equipped. The investigation has yet to produce any findings. One year and a few thousand civilian deaths later, Al Hussein is repeating the call for the formation of an independent international body to investigate human rights violations in Yemen, after releasing a new report chronicling misconduct on both sides. However, his effort is likely to fall short once again. Earlier this summer, Saudi Arabia successfully pressured UN Secretary General, Ban Ki-moon into removing the country from a list of violators of children’s rights by threatening to cut UN funding. When Al Hussein reiterated his call for a probe two weeks ago, Saudi officials were similarly quick to respond. The Saudi Ambassador to Geneva, Faisal Bin Hassan Trad, sent an 18-page rebuttal to UN offices defending the measures his country took to safeguard civilians, such as dropping leaflets to warn of military action and using precision-guided weapons. Al Hussein is expected to present the report’s findings at next week’s HRC session in Geneva. But do not expect the Saudis to cooperate in any call for an independent investigation. At the end of the day, Saudi Arabia’s diplomacy of obstruction and denial may be one of its worst crimes yet. UN Member States should stop letting Saudi Arabia get away with it.